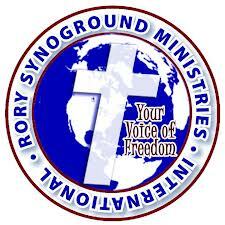 Rory Synoground Ministries International: ARE YOU FEELING THE PRESSURE? If you feel like you're under financial pressure, you're not alone. Satan is putting more pressure on more people right now than ever before. He's pressuring us mentally, financially, emotionally and every other way he can. The pressure has gotten so great everywhere that people really don’t know what to do. Governments don't know what to do. Businesses don't know what to do. Families don't know. Even some Churches don’t know what to do. How does the devil put pressure on you? By getting you to look at your own resources, instead of the resources of heaven!! Too many times, when things get tight financially, people begin looking at their job, their bank accounts, and their own resources to see if they can meet their needs. And quite frankly that’s exactly what the devil wants you to do. 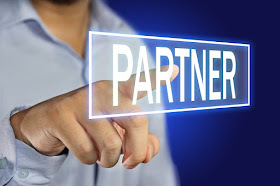 He wants you to get your eyes off of the Almighty, Jehovah Jira, “The Lord God who sees ahead and provides.” And by doing so, you begin feeling the pressure of doing it on your own..
Jesus said it is the Fathers good pleasure to give you the kingdom. (Luke 12:32) The Lord new the situation that you would be in today, and He has already provided for you a way out from under that pressure. He has given you and I certain keys to unlock His abundant provisions for us, and one of these keys is “GIVING”! By giving your resources to God, He then is able to release to you the resources of Heaven. Let’s look at 1 Kings 17. Here we read of the account where the prophet Elijah was sent to a poor widow women’s house. There was a great famine in the land, food was worth more than gold. It was a desperate time, people were dying left and right. This women was under tremendous pressure. By looking at her resources she saw that she could only provide one more meal for her and her son. Soon after that they would die of starvation. God new that this women had the faith, and the courage to act on the Word of the Lord through the prophet Elijah. But she did not do this blindly, she heard the promise of the result of her giving as well. In verse (14) we see the promise attached to her giving; “For thus saith the Lord God of Israel, The barrel of meal shall not waste, neither shall the cruse of oil fail, until the day that the Lord sendeth rain upon the earth.” She had the key, and the promise of using that key. As a result of acting on that Word, she and her household did eat for many days. We have been given the key called giving, or planting. We have been given the promise of using that key, which is all of our needs being met. Paul told the Christians in Philippi, that all of their needs are met according to His riches in Glory by Christ Jesus. Why was that promised to them? Because they were giving their resources to God and His ministry through Paul. Praise God, we can give our way right out from under any pressure the devil brings to bear. Giving is always Jesus' way out. Whenever there's a need, He plants seed! In fact, in Mark 4, He compares the entire kingdom of God to a seed. Jesus Himself was The Seed planted by God. God sowed Him in sacrifice. He came forth and grew up into many brethren. When Satan puts you under pressure, go to Jesus and let Him tell you how and where to plant. If you'll do it, that seed will grow up until it breaks the powers of darkness and lack. It will release you from the pressure the devil's been putting on you. Listen, when the devil puts pressure on you, don't panic...plant, give! Plant your time. Plant your money. Plant the clothes off your back. Keep your eyes on the Word of God. Keep your attention on Him. When the world tells you to hold back, imitate your Father, and GIVE your very best. Imitate the widow women, give to God first, expecting His promise to materialize in your life. Realize that God is not mocked. What you sow, you will reap.